Cholla Needles Arts & Literary Library: Dave Maresh - Jaegger In The Underworld - New Book! 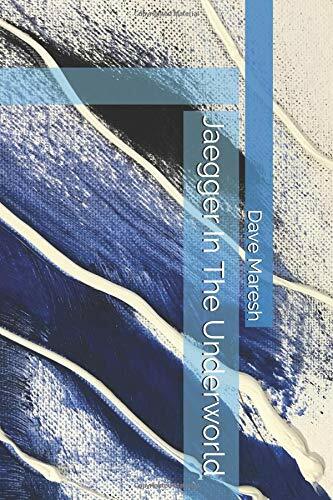 Dave Maresh - Jaegger In The Underworld - New Book! Jaegger In The Underworld, the new novel by Dave Maresh, may be considered Science Fiction because it takes place in the future. How long into the future? Well, perhaps yesterday - but you weren't looking, so you'll need this book to catch up to the events you missed last week. Dave Maresh was born in 1948 in Fullerton, California. Graduate of Cal State Fullerton and University of Redlands. Married with four grandchildren. His wife, Michelle, is a teacher. Retired from teaching career of 37 years. Dave has written fifteen novels, four short stories, three children's stories, and is writing poetry nowadays. He likes open styles, free verse, mysteries and adaptations from real life. He has always been a writer. Dave and his wife, Michelle, have travelled extensively through Europe, and have four beautiful grandchildren. He is also a private pilot, so now you know who is making all the noise over your head. His book of poetry, a book that turned up one day (2018), and collection of short stories, Garage Band (2018), are published by Cholla Needles Arts & Literary Library.